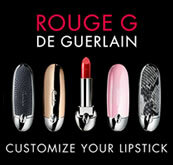 Guerlain Rouge G Refills allow you to choose your perfect shade for your perfect case; for a lipstick that reflects your character. 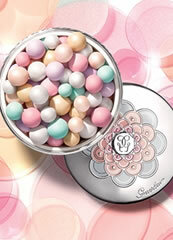 This time Guerlain have created a makeup range that is truly unique and fashion forward. Intensely coloured, just like a gloss paint for your lips these lipsticks almost completely ignore your lip colour for a shine and colour that cannot be matched. Packed full of lip plumping and reconditioning ingredients they are truly an elegant lipstick revolution. A deep rosey brown shade with a gorgeous soft sheen finish. 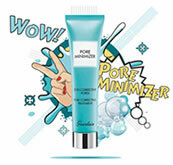 It is a timeless and elegant colour best for warm or neutral skin tones and medium skin colours. A bright cherry red shade with cool undertones and a gorgeous soft sheen finish. It is a timeless and elegant bright cherry colour for cool skin tones and all skin colours. A mid bright coral red shade with neutral undertones and a gorgeous soft sheen finish. It is a timeless and elegant coral red for all skin tones and all skin colours. 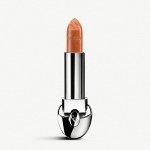 An elegant orange with a hint of red with warm undertones and a gorgeous soft sheen finish. 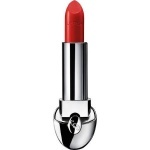 It is a timeless and elegant orangey red for wawrm skin tones and light to medium skin colours. A creamy truely vintage pink shade with warm undertones and a gorgeous soft sheen finish with a medium intensity. It is a timeless and elegant pink for warm skin tones and light to medium skin colours.